Well, this one came out of left field, after slapping a muddy rut and hitting sender only a mad man/woman would ride! After Joe Barnes posted on social media that he was leaving Canyon we all had our theories as to which team he would sign for and what bikes he would ride. None of us predicted this. Joe Barnes slapping turns on an Orange for 2019. 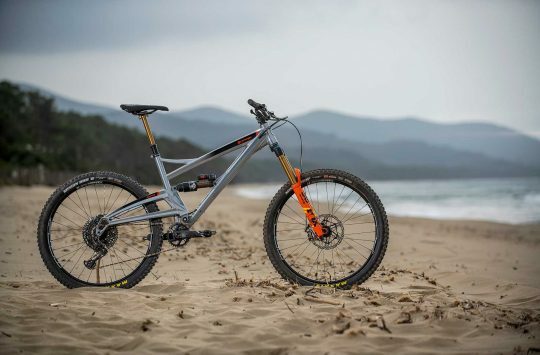 For 2019 Joe Barnes, aka Top Chief, Lachlan Blair and Fergus Lamb will all be churning up the local countryside on single pivot, made in the UK, Orange mountain bikes! Yes, that includes the E.P.O, Shimano Steps powered eMTB too! Best of all we don’t even need to wait and see how that will look, because we have an edit already. Enjoy! Hazzard Yellow is Orange from Orange Mountain Bikes on Vimeo. Orange Bikes are proud to announce that Joe Barnes and the Hazzard Racing team will coming onboard from January 2019. We’re really excited to be welcoming Joe and his boys back into the Orange fold – it’s fantastic news and we can’t wait to see all the plans on the table come to fruition. Part of those plans includes racing at events that Joe’s schedule has previously prevented him from doing, along with a host of other Hazzardous Material coming your way. So stay tuned and watch this space for further news. In the meantime, we can tell you that along with Joe Barnes, the key Hazzard Racing Team members will include Lachlan Blair (a.k.a. “the Mexican”) and Fergus Lamb (a.k.a. “Fergybaby”). Famously riders of the unrideable and builders of mystical unbuildable trails the Hazzard boys are a force of nature. Whether bringing their talents to race tracks across the globe or smashing secret turns in the back of beyond, we know we’re in for a top ride. Here’s the core team members. Joe Barnes: @top_chief – The Hazzard frontman, Lead rider and manager. A veritable MTB guru, Joe will direct and edit the Hazzard video output as well as bringing his racing skills to selected UK and International events. Lachlan Blair: @lachlanblair – Lachlan is the up and coming talent who’s destined for big things. Natural flair and determination in everything he does. Fergus Lamb: “What’s Instagram?” – While Fergus will be joining the gang on Hazzard film trips and UK race events, Ferg will be bringing his unique uniqueness to the mix. Ferg is also Scottish Moto Enduro champion 2017 and sitting 2nd for 2018 and important for the Hazzard team standing for more than just MTB and pushing boundaries everywhere. 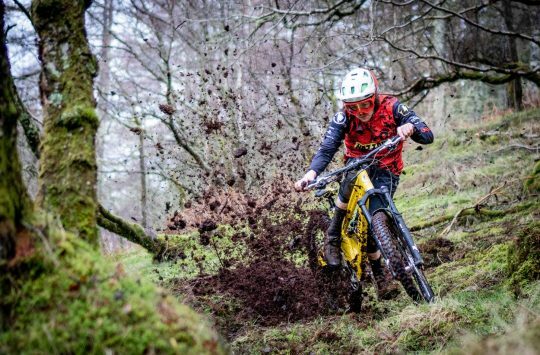 The team will be mixing EWS Enduro and DH racing with filming adventures in that special way that only the Hazzard dudes can. On top of that, the team will be bringing some innovative initiatives into play bringing an inclusive vibe so that riders of all ages can get involved. They will be riding a variety of Orange Bikes from the range including our E.P.O. e-bikes (more on that to follow too). 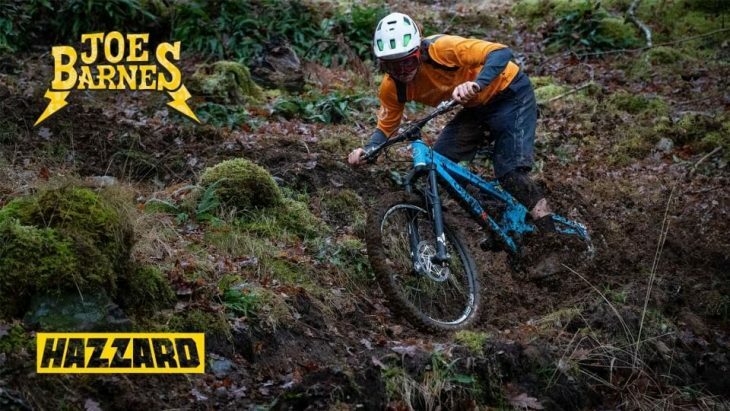 Keep posted to Singletrackworld.com for more 2019 team news. 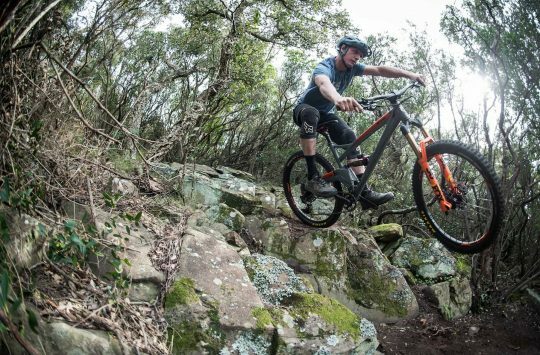 Review: The Cane Creek Helm Coil Fork - Is it better than the Helm Air? Video: The Hazzard Racing guide to setting up a race team plus bonus rut slapping action. Great news! The Dudes of Hazzard vids are always must-watches for me and this should mean more of them! Canyon always seemed a slightly uncomfortable fit for them tbh. Agreed – nice one. Good to hear.